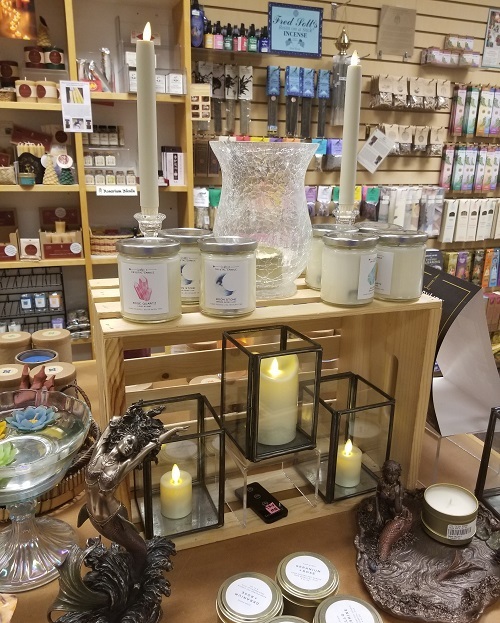 People often come into East West and comment on the smell, the dreamcatcher, or just the peaceful ambiance, but as an employee, it becomes easy to take the beauty of our store for granted. The other week, however, I had the opportunity to visit California for a spiritual pilgrimage with some friends. California is where the great Indian swami Paramahansa Yogananda first made a headquarters for his new church. We went to Encinitas, where I visited the gift shop at Yogananda’s Hermitage. The effect of entering into a space such as that was tremendous. The lighting, the architecture (the building is a cluster of circular rooms) the statues of gods and incense, and the wood furniture – it all combined to create a place that is distinct from the outside. I finally had an understanding of the immediate effect a place as mundane as a store can have on a visitor. But these places Oldenberg suggests – cafes, pubs, town squares – only suggest commonalities through human functions – nutrition, libation, location. If these places were books in a library, one might put them in the ‘leisure’ section, or perhaps the ‘lifestyle’ section. But in this metaphorical library, there must be more sections, one of which would be the ‘spirituality’ section. A section of the library where people could connect not with the commonalities of the human body, but with the commonalities of the human soul. This is the space we could call the sacred space. The benefit of these separate spaces – the home, the workplace, the leisure and sacred spaces – is symbiotic. Humans live at home, and thus the home becomes a defined space. Humans drink and eat at pubs and cafes, and thus these spaces get their name. Conversely, when we come home after work, people generally like to let go of whatever stress we held onto at the office. And when we eat and drink at the cafe it is to be in the company of friends and family. Pointedly, we generally do not do work at home or at the café, and we do not generally have feasts or gatherings at the office. Or, if we go to the cafe with coworkers, the food allows a gateway for communication and sharing. If we are not ready to share our innermost secrets with a new coworker, perhaps we are ready to share some chips and salsa, and in this way get to know one another. So what of the sacred space? Our sacred space need not be religious or sectarian; perhaps it is a cave for the meditative yogi; a field where the athlete can run; a kitchen where the chef can cook; a temple where the pious can pray. A sacred space is the space in our life that is reserved for doing what we find most important. And that is the key: doing. It is what the sacred space reminds us to do that makes it sacred. The cave allows the yogi his privacy, the field grants the athlete freedom, and the kitchen gives the chef her tools to cook. But really, we can pray, run, or cook anywhere. When we are doing that which is sacred to us, when we are in the process of fulfilling our life’s mission, our physical location will become irrelevant. All that matters will be what we are doing. When we are centered, we find an internal space. Some might call this the ‘third’ place, the happy place, or the sacred space. This is the space we all carry inside of ourselves that, now and then, we must return to. The physical locations are simply the world’s gentle reminder that we should return to this internal space. 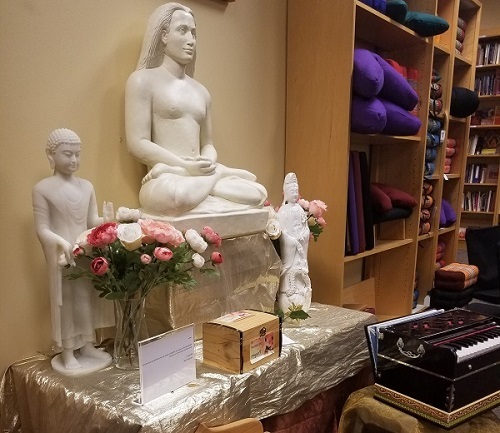 At the conclusion of my trip to California, it was quite a shock for me to return to the airport – a space in stark contrast to the calming, sacred spaces I had been visiting. After living with and talking to only spiritual friends for a week, the grumble of an indifferent store clerk or a rushed traveler was quite jarring to the internal stillness I had developed. And herein, perhaps, lies the true lesson of sacred spaces: that while we cannot take that external space with us, we can bring its internal reminder with us. That is to say, even after leaving a sacred space, we must keep sacredness internally, even if, or especially if, the new place we go to is not quite as nice. you’ve expressed this idea so clearly and understandably that this piece shines with peace. A lovely gift. Thank you. Beautifully stated. I believe this is our next step on our journey, to create that peace ourselves and be that for others. . Thank you for sharing.